I hope this finds you well, child. You mustn’t be surprised by all of this. Congratulations on your eighteenth birthday. I am sure you have many questions, and you are still in doubt as to the truth of all this. It is true. This is your destiny, my child. You have all been brought together for a very important reason. All of you possess a gift that is unique to you. You, Chloe, are the key to it all. You are the chosen one. Much has happened over the past centuries. You are all descendants of very special ancestors. Your bloodline is the most powerful of all six bloodlines. You come from the original chosen one, the very first chosen one and the most powerful sorcerer to walk this earth: me. We did not know that this would happen again, but it has, and so it is your job to stop it. You are the only one that can, supported by the others that will stand by your side. You need them, and they will need you. They are under your wing; they will obey and do as you tell them, so be sure not to steer them in the wrong direction. You have the most powerful gift, if you have not already figured that out. You have been given control over the five elements: Earth, Fire, Air, Water, and Spirit. These will help you and protect you. You will need your powers for your journey. All six of you will have to come together to destroy him. I will give you as much guidance as I can, but the rest is for you to discover and conquer. You have all been given the gift of enhanced senses, not only of your surroundings, but also of each other. You will need this for your quest. You do not live in the world you thought you did. Walking among you and all throughout the world are witches, warlocks, werewolves, and all supernatural things you thought to be just a fairytale. You and the other chosen are descendants of the six bloodlines, the original and only bloodline of sorcerers, known as the chosen. Each generation of the six bloodlines have stronger than normal powers given to the first born for the practicing of magic, but are not given the powers of the original chosen. The chosen must be the first-born of the latest generation, within the same year, and on a night of the new moon. This has never occurred until eighteen years ago … your generation, Chloe, are the first chosen ones since the originals. Each of you have a parent that is a descendent of the original chosen. Some practice their powers and others choose not to and lay dormant. Your mother is one that has not practiced her powers since she was very young. Once you were born, she shut out all supernatural powers in order to give you a normal life, but this, Chloe … this is not something that can be avoided or shut out. Aden, a wizard from a prominent bloodline of wizards, has long been in search of dark magic, a practice that is forbidden in our world. He has always been envious of the chosen and yearned to possess the powers that your bloodline has. Your powers, combined with the dark magic, would give him the power to destroy the world as well as immortality. There is one way to gain the powers of the chosen. You have to first take the life of the original chosen, and then the remaining chosen, resulting in the extinction of the chosen bloodlines. There has never been a generation of chosen to be given life all within the same year since the originals. Until now. This puts all of you in grave danger. Aden knows this and will come after you if he has not already. Trust your instincts always. The medallion has found you; it will keep you safe. You must never let the hands of darkness gain possession of that, or you will be left vulnerable and unprotected. This will be difficult, but together you can do it. There is a sixth chosen. He has not arrived yet and is in terrible danger. You must find him, Chloe as Ethan, the sixth, is your protector. He is your guardian. Aden has captured him to leave you unprotected, increasing his chances of destroying you. Use your senses of each other’s emotions to protect each other and find Ethan. You must use what is close to you to find the way. You are the leader, without you it cannot be done. Without you and the other chosen, the darkness will cover and shatter the world. You are connected to spirit. Invoke it if you need. When you need me, just listen, and I will come, I am always with you. You must go now; find Ethan before it is too late. There is not much time, my child. Chloe, one more thing … there is another way to destroy the chosen. If you give in and turn to the dark side to rule with Aden, all light in the world will go dark. All that is good will be no more, and the chosen will be banished. All Siren Press titles are now available for FREE on Kindle Unlimited! Whether you are looking for a HEA, a chance romance in a creepy antique store, a third baseman with a wicked swing, or a trip to Neverland, we have you covered. Available exclusively through Amazon November 20, 2018. Chloe Caledone is counting down the days until high school graduation, ready for the day she can finally escape her boring small town and experience the world she’s only seen through other people’s eyes. So far, Chloe’s teenage years have been good but boring, and she’s managed to go through life unnoticed—until the morning of her eighteenth birthday. One fateful birthday gift and a run in with a group of the school’s most popular kids later, Chloe finds that her small town life is anything but boring, and her destiny just got a whole lot more dangerous than she’d ever imagined. 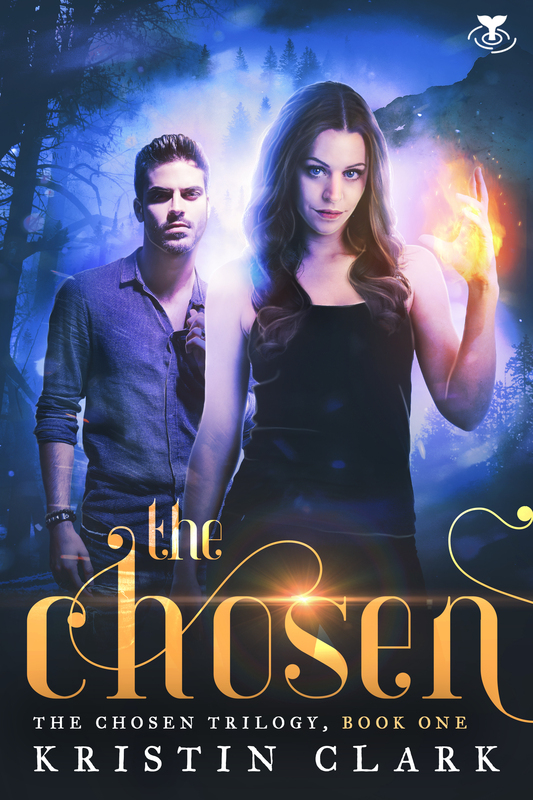 The descendant of the most powerful magical bloodline in history, Chloe has been Chosen. Together with her new friends, Chloe will find everything she thought she knew turned upside down in the wake of secrets, lies, and an unanticipated love triangle, all while she and five others descendants of the original Chosen fight to destroy a dark and powerful immortal—who has his eye set directly on Chloe. Dearest Chloe, I hope this finds you well, child. You mustn’t be surprised by all of this. Congratulations on your eighteenth birthday. I am sure you have many questions, and you are still in doubt as to the truth of all this. It is true. This is your destiny, my child. You have all been brought together for a very important reason. All of you possess a gift that is unique to you. You, Chloe, are the key to it all. You are the chosen one. Much has happened over the past centuries. You are all descendants of very special ancestors. Your bloodline is the most powerful of all six bloodlines. You come from the original chosen one, the very first chosen one and the most powerful sorcerer to walk this earth: me. We did not know that this would happen again, but it has, and so it is your job to stop it. You are the only one that can, supported by the others that will stand by your side. You need them, and they will need you. They are under your wing; they will obey and do as you tell them, so be sure not to steer them in the wrong direction. You have the most powerful gift, if you have not already figured that out. You have been given control over the five elements: Earth, Fire, Air, Water, and Spirit. These will help you and protect you. You will need your powers for your journey. All six of you will have to come together to destroy him. I will give you as much guidance as I can, but the rest is for you to discover and conquer. You have all been given the gift of enhanced senses, not only of your surroundings, but also of each other. You will need this for your quest. You do not live in the world you thought you did. Walking among you and all throughout the world are witches, warlocks, werewolves, and all supernatural things you thought to be just a fairytale. You and the other chosen are descendants of the six bloodlines, the original and only bloodline of sorcerers, known as the chosen. Each generation of the six bloodlines have stronger than normal powers given to the first born for the practicing of magic, but are not given the powers of the original chosen. The chosen must be the first-born of the latest generation, within the same year, and on a night of the new moon. This has never occurred until eighteen years ago … your generation, Chloe, is the first chosen ones since the originals. Each of you has a parent that is a descendent of the original chosen. Some practice their powers and others choose not to and lay dormant. Your mother is one that has not practiced her powers since she was very young. Once you were born, she shut out all supernatural powers in order to give you a normal life, but this, Chloe … this is not something that can be avoided or shut out. There is a sixth chosen. He has not arrived yet and is in terrible danger. You must find him, Chloe, as Ethan, the sixth, is your protector. He is your guardian. Aden has captured him to leave you unprotected, increasing his chances of destroying you. Use your senses of each other’s emotions to protect each other and find Ethan. You must use what is close to you to find the way. You are the leader, without you it cannot be done. Without you and the other chosen, the darkness will cover and shatter the world. You are connected to spirit. Invoke it if you need. When you need me, just listen, and I will come, I am always with you. You must go now; find Ethan before it is too late. There is not much time, my child. 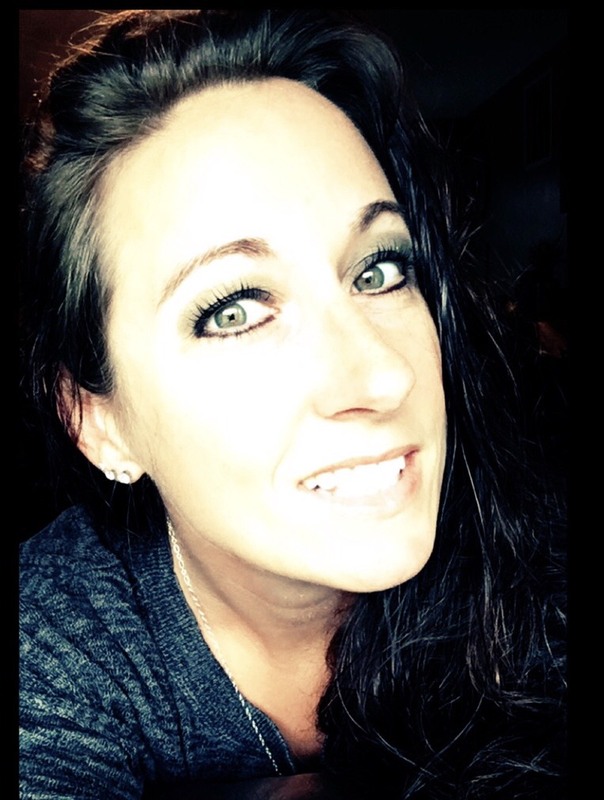 Kristin is an avid reader and has been writing stories for as long as she can remember. Her three daughters inherited her creative mind, leaving no day uneventful. She has been a Litigation Paralegal since she graduated college and is beginning a new journey as a Realtor. When she isn’t working, carting her girls around to softball, or writing, she is hitting some trails in the Jeep with her boyfriend. Stalk Kristin on Facebook & Instagram. 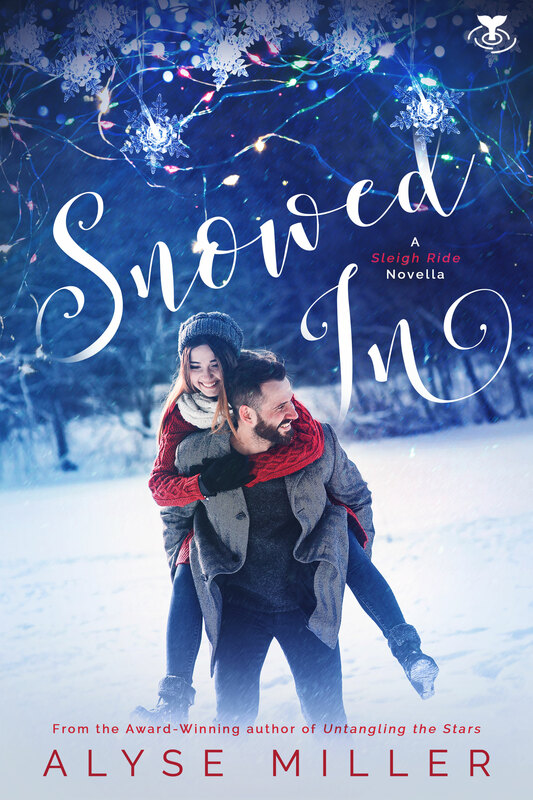 Snowed In (A Sleigh Ride Novella). Roxanne Hudson does not like Christmas. It’s cold, and quaint, and it comes with too many family obligations that take her away from where she really wants to be: continuing her trajectory as a rising star at her high-end fashion job in New York City. She’s got it all: a great job, a literally model-perfect boyfriend, a closet full of designer labels, and a brand new car that she hasn’t even bothered to drive—plus she just handed off some of her own fashion sketches the head of fashion at Vogue. But this year might be Grandma Myrtle’s last Christmas, and Roxanne’s parents have begged her to spend the holiday in the family cabin at the foot of the Green Mountains. With her boyfriend Hunter away at a photo shoot overseas and her best friend Spencer coaxing her to take some time to herself, Roxanne decides to leave the comforts of the city behind and brave the Christmas commute—and the wilderness—to spend Christmas in Vermont. 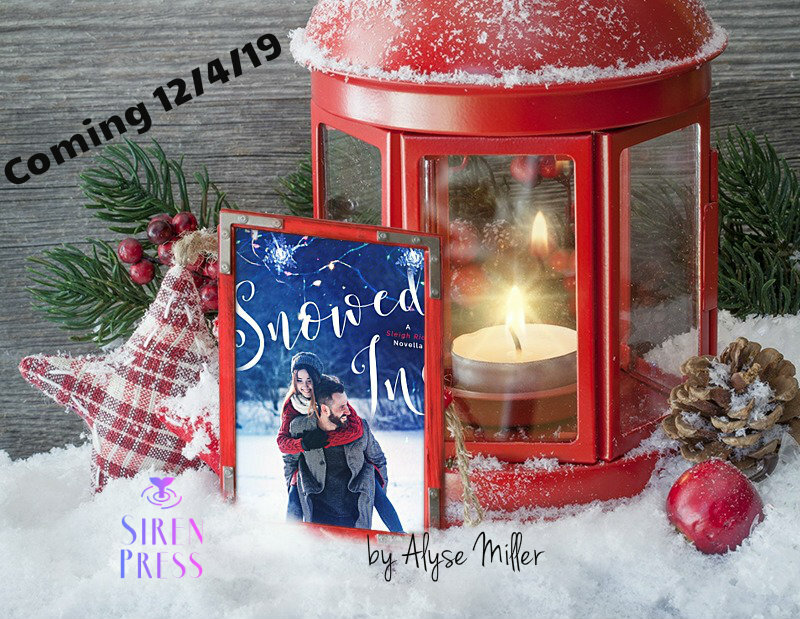 But when an uncomfortable phone call from Hunter starts her drive off the wrong way, Roxanne doesn’t anticipate the blizzard that will take her by surprise on the snowy roads—nor did she pack for it. When she finds herself rescued by a handsome park ranger who’s the exact opposite of everything she’s been working so hard to achieve, Roxanne might just discover there’s a little bit of Christmas magic waiting for her after all. Sometimes Neverland isn’t the place you go to stay young; it’s the place you leave to grow up. – Except for Davie, Claire’s childhood friend who’s always held a corner of her heart – the dark, somber-eyed boy who has grown into a handsome, enigmatic man – and who has hooked himself so deeply inside of her she cannot escape him. When Davie professes his love in an unexpected burst of loosened passion, Claire finds herself torn between the two men: the one that’s stolen her heart and the one who’s held it all along. Now, Claire must navigate through the purities and passions of love and accept the consequences of finally letting her heart take the lead. ​Claire had first seen Jake in the same fragrant coffee shop where they later spent their first date. The coffee shop was Claire’s haven. She often abandoned the fierce creativity of her downtown office in favor of the coffee shop’s cozy comforts and the unbridled imaginations of the artists and writers who favored out-of-the-way cafes over the busy, popular chains common in the city. In this quiet coffee shop, she could break away from the fast-paced demands of the other editors and photographers at the boutique fashion magazine she worked for in the city. She could simply sit, absorbing inspiration around her as she sipped sweet steaming mugs and shrugged away the melee of the world outside. For a barely-thirty, single girl living in the Big City, this was about as close to feeling like home as she could find. Claire’s mouth froze. The hundreds of carefully articulated greetings she had obsessively rehearsed over and over in her bathroom mirror escaped her entirely. Without worrying over her answer, he seized a chair from the next table, twisted it under his free arm, and sat down facing her. He was so close that his knees rubbed up against the side of her thigh. Claire struggled to regain her composure, and noticed, oddly, the contrast of the worn denim of his jeans against the dark linen of her skirt. She blinked at him—each blink a tightening of the coils in the drawbridge of her still-open mouth. As silly as it was, she had never seen him this close before, and Claire felt star struck. He was oblivious to her struggle and lured her in closer, his finger bent in an arching, beckoning motion that implied both she keep quiet and lean in nearer to him. The familiar, telltale heat was crawling up her cheeks, but Claire leaned in anyway. The boy with the acorn tattoo began to sing. For as low as it had been before, his voice was deeper than she expected it to be. It flowed like water toward her—soft, heavy, and slow—and carried her on a warm, rocking current, as if she sat beside him on a ship that was sailing deep into the midnight ocean along a path lit by the glow of stars on endless water. She listened to his song, hearing simultaneously every word and none, mesmerized by the way his mouth caressed each word as it breathed between his lips. Claire hadn’t realized that Jake had finished singing until his tongue licked across still lips. She peeled her eyes away from his mouth and slowly lifted her eyes to his. “You sound like the ocean,” she said dumbly, her words betraying her. She was surprised at how drowsy her voice sounded. The boy with the acorn tattoo cocked his head to the side, bird-like. “Do you like the ocean?” he asked curiously. His words, as sincere as a true southern gentleman, didn’t match his mouth, which was just the tiniest bit mocking. Claire blushed pink and nodded. For a split second, she was terrified she might have offended him, but gradually a slow grin spread across his face. He shook his head slowly from side to side, his grin widening with every turn. Looking away from her, he set his guitar on the table. His knees stayed firm against her thigh. “Claire,” she returned, grateful the word came out with no other surprises. They spent the next several hours unaware of the strangers around them, each minute loosening the awkwardness bound between them until they were talking and laughing as easily as old friends. Jake strummed a few more of his songs for her, and every time Claire was whisked away on the same rocking ship as the first time he’d sung. Claire was utterly unaware of time passing, reveling in moment after moment of conversation. It was freedom; a feeling akin to what Claire imagined flying might feel like. “These songs are too sad,” Jake declared after a while, tapping his palm sharply against the strings to cut short the first notes of a melody. “Let’s write a happier one, shall we?” And, dismissing Claire’s feeble protests, he leaned behind her chair and laid the guitar over her, setting it down gently like a babe in a new mother’s lap. It was lighter than she’d expected, but then, she’d never touched an instrument before. Jake grinned down at her, green eyes twinkling behind a curtain of fallen hair that lapped across his forehead. Taking her hands in his, he placed her right hand on the sound hole of the guitar, and then wrapped her left so that her fingers rested on the strings that laced across the neck. His hands were warm on hers, with fingers long and lean and slightly rough on the end, as if they were tipped in sandpaper. They curved easily around her smaller ones, a full knuckle’s length longer than hers. Claire sat stiffer than the wood of the guitar, trying to relax around its slippery body that felt thin and fragile in her arms. Ever her contrast, Jake folded gracefully back into his chair, waiting and peering expectantly at her with his index finger crooked in the length of space between his nose and chin. Claire noticed that he had another tattoo—a tiny star—etched like an afterthought on the pad of the first lower knuckle of his pointer finger. Claire desperately wanted to know what they meant. In the meantime he looked positively serene, an undisturbed idol, as Claire gawked at him over the lump in her lap. Claire awkwardly tugged the pick over the strings. To her horror, the guitar belched out a grotesque noise. She wrinkled her nose at the sound. Jake laughed from his chair, a rich masculine sound that managed to vibrate off Claire’s heart. She slit her eyes at him, which only made him laugh harder. For a limited time you can preorder Alyse Miller's The Acorn Tattoo for 99¢. ​Sometimes Neverland isn’t the place you go to stay young; it’s the place you leave to grow up. The words tumbled eagerly over Jake’s lips and spilled into the air like offbeat tap dancers, a graceful quintet momentarily tripped by an unexpected step. Jake grinned sheepishly and dipped his head, sending sandstorm blond locks tumbling across the deep hollow of his angled cheekbones. A second hiccup followed the first, and his head bobbed in tandem with the sound. Even with his face downcast, Claire could see the upturned curve of his lips pinched in his profile. He was grinning again. Claire and Jake had finished their picnic of fresh fruits and cheese nearly an hour before. Afterward, when the wine was empty, they lounged together comfortably under the brilliant kaleidoscope colors of the changing fall leaves. Together, they watched the sky turn from robin’s egg blue to cornhusk yellow. Jake had fallen quiet, as he often did—his back propped lightly against the crackled white bark and his long, nimble fingers plucking at the blades of sun-warmed grass that brushed against his knee, as familiar as if they were the strings of his guitar. Claire lay on her back inside Jake’s shadow, staring past his grinning profile to the sky. It was a spectacularly beautiful day in the simplest of ways—the kind that seems to want for daydreaming. The kind of day that was made of the stuff of dreams itself. emerald eyes. A third hiccup shivered through the air, but Jake was quiet. It had been a sudden declaration and Claire’s breath caught in her throat. The tap dancers, still suspended, hovered patiently in the space between them. Claire might have thought the wine had tempted fleeting romantic thoughts to recklessness. Silly words on wine-soaked lips often fluttered out into the realm of things said too soon, or too often. She would have thought that had they come from anyone else’s lips. But Jake was a man of few words. It was as if he cared for them so preciously that every uttered syllable was polished one at a time and strung together in a melody of perfectly chosen words. Jake was, like the day itself, beautiful and dreamlike and vaguely surreal. As Claire studied Jake’s face, the lazy breeze yawned a tangle of silky hair across his forehead and buried one eye beneath the sandy desert of his hair. Without the paralyzing effect of both of his eyes locked on hers, Jake’s face was more tolerably handsome—only lightly skimming the edge of heart wrenching without plummeting over into the chasm of heartbreaking. He hiccupped again and inched closer, letting one arm slide across her waist so that his fingers found and then tugged playfully around a stray ribbon of her tousled red hair. His fingertips, surprisingly cool when they brushed against her skin, did not match the heat that pulsed through the sweetheart bodice of her pale yellow sundress where he lay against her. Claire felt her cheeks heat in rosy blooms despite herself. With Jake’s arms around her, his hands brushing across her skin, and eyes shining into hers, those five seemingly innocuous little words changed. They coiled and warmed into something deeper, thicker, and more masculine. Claire repeated them in her mind, words so delicious she could almost taste them. If it were possible, every inch of her body would turn as pink as her cheeks. If it were possible, she might be forever pink. cheeks—one right, one left. He had a way of looking simultaneously innocent and mischievous at the same time. He was irresistible, even when she didn’t want to resist. Claire turned from pink to red. If she could still her fluttering heart, she could speak. “Oh, don’t be silly,” she tried to sound playful, but her words came out breathless and rushed and desperate. “You’ve only had too much wine.” She wobbled her empty wineglass playfully at him as some kind of wishful proof. It clinked clumsily against the empty bottle, first a note too hard and then a note too soft. “Nonsense, Claire Darling.” It was his nickname for her. Jake ignored the glass and lowered his face until it was close enough for Claire to see a tiny drop of honey billowing in a sea of brilliant green. Claire’s shadow stretched behind her as Jake leaned to cup her face gently in his hands. His deliberate movements were as smooth and graceful as silk. One warm hand slid to curl along the nape of her neck, the thumb resting lightly on the hummingbird beat of her pulse. The other still cupped on the curve of her cheek. Tiny fireworks sparked beneath her skin as Jake’s words closed the space between them. “I’ve only had but a thimbleful,” he whispered onto the waiting petals of her lips. Official blog of Siren Press.